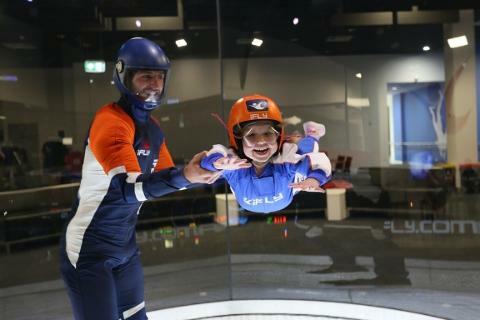 Located next to Penrith Panthers, iFLY indoor skydiving is an exhilarating experience and a highly addictive sport that is safe for young kids, challenging for adults, exciting for teens and realistic for skydivers. Our recommended first timer package and best value for money! 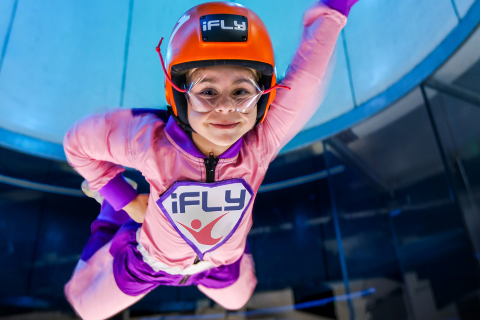 The iFLY Value offers 4 flights (or 2 double length flights) and includes your safety briefing, all equipment, an instructor and a personalised flight certificate. 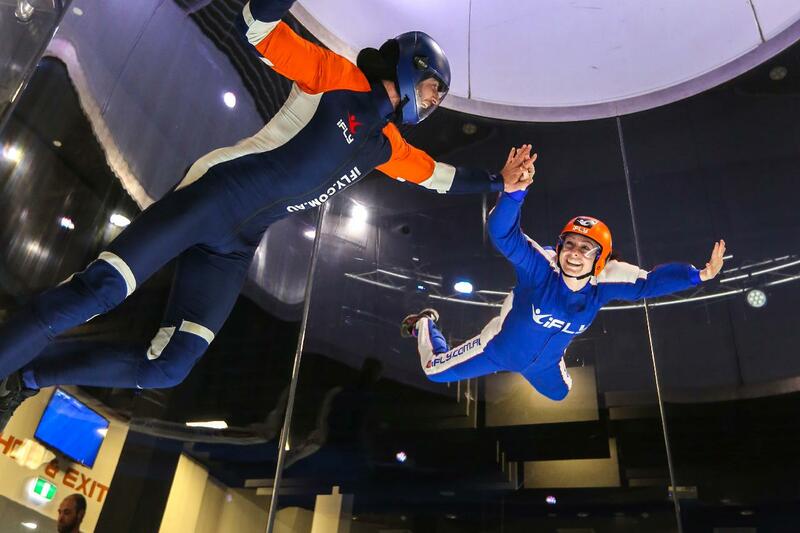 Whether you’re 3 or 103, Indoor Skydiving is both an exhilarating experience and a highly addictive sport. It is safe for kids, exciting for teens, thrilling for adules and realistic for skydivers. There's no parachute, no jumping, and nothing attaching you to planet Earth! 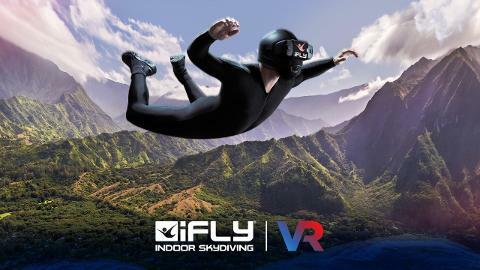 You simply lean into the wind inside our giant glass tunnel and a column of air lifts you effortlessly into flight guided by a qualified instructor. 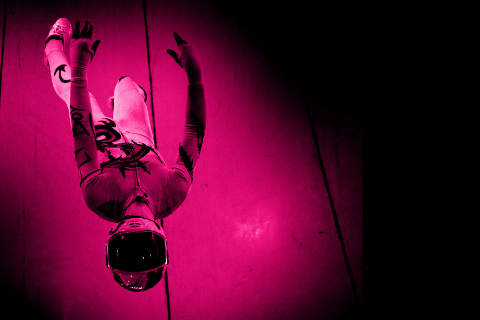 It's just you, the air, and an incredible adrenaline rush. From beginner, you'll soon master the flying skills of expert skydivers in our state-of-the-art, fully-controlled, ultra-safe environment. And the all-round viewing platform lets you share the magic with family and friends. Experience the rush that makes the sport of indoor skydiving so big around the world. 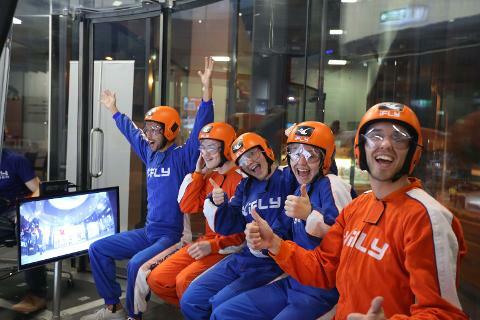 Whether you’re celebrating a special event, planning a corporate day out or looking for a new sport to take up – we’ll help you get up to speed at iFLY! Please note: you must arrive 1 hour prior to your selected flight time. We pride ourselves on being able to fly those with physical and/or psychological disabilities and understand that each case is unique. Please call us on 1300 366 364 to discuss your individual access requirements prior to booking so we can be prepared to make your dreams of flight come true. CLICK HERE to visit our full website or use the menu below.